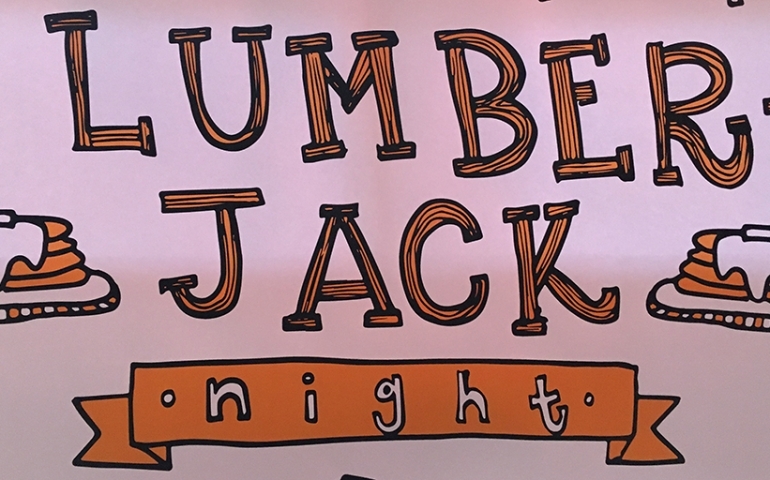 Thursday, December 1, is Lumberjack night at the 5:30p.m. and 7:30p.m. at the Women’s and Men’s basketball games. This day is a beloved event that occurs every basketball season here at Southern Nazarene University, and you will not want to miss it. The night consists of several fun activities — first and foremost of which is the lumberjack attire. While it is not necessary to dress up, it is highly encouraged that students ditch the typical college student garb, break out the flannel, grow a beard and lumberjack out. Then after the first game, free pancakes will be handed out on the second floor of Sawyer. Now students often complain that they do not own lumberjack styled clothes or know how to “dress” like a lumberjack. However, everyone can be a lumberjack and here is how. The first and foremost piece of any lumberjack’s outfit is the plaid shirt. Traditionally, the colors of the plaid shirt should follow a black and red color scheme; although, this color pattern can be broken if paired with other clear lumberjack attributes. Another key to the lumberjack look is tucking the shirt in. Not only will it make you look nicer but it will keep pesky shirt tails from getting caught in the wild Canadian woods. Now a belt does work for a lumberjack look, but extra points are given for suspenders. For head wear, you can go with just your wavy locks of mountain blown hair, but a beanie is a nice touch for any lumberjack. As for shoe wear, think bulky. Lumberjacks have huge feet and need large boots to protect them from the elements. Finally, there is the beard. Many lumberjacks require their beards for warmth and a source of strength when fighting grizzly bears. However, most of us do not possess the ability to grow a burly man beard. Yes, it won’t look quite as good as the unclean whiskers of the true lumberjack, but it’s nice to dream for a night. So, channel your inner lumberjack and join your student body for basketball and flapjacks!